August is a cracking month to visit Great Britain. Thousands of vacationers from around the globe flock there this time of year, attracted by such internationally renowned spectacles as the British Open Crabbing Championship, the Egton Bridge Gooseberry Show, and the World Bog Snorkeling Championship, to name just an obvious few. For the Shelton Brothers, however, August in England is synonymous with the main event: The Great British Beer Festival. The GBBF is a celebration of a great brewing culture, one unique and steadfast in preserving its tradition. The old country never gets enough credit from today’s World Craft Beer Community, but this month we’re doing our part, attending the fest ourselves in search of more great beer while welcoming some new international arrivals that pay homage to historical Brit styles. And we’re also happy to announce the re-stocking of a legendary English classic. 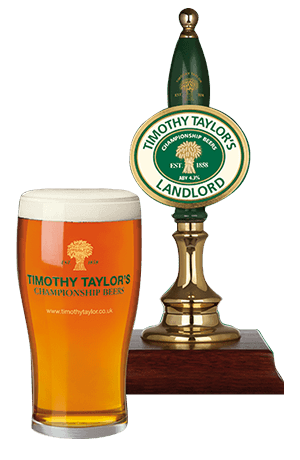 Timothy Taylor’s Landlord is the most decorated pint in England, having won first place in the GBBF four times! This beautifully made 4.3% brew sets the standard by which all English bitters are measured. While we’re honored to have been tasked with importing this august (pardon the pun) quaffer, we’re equally shamed to have been sold out of it for several months. Well, the Landlord is back, and right in time for the start of the English Premier League. So put on your jersey, sip a few pints of real bitter, and cheer on your favorite side — but please, no hooliganism. That’s for lager drinkers. And prepare yourself — the GBBF champion of 2014, Taylor’s Boltmaker, will be coming soon! Timothy Taylor Landlord is available in 500mL bottles. From France, that quirky neighbor from just across the water, the Brasserie St. Germain sends us two new ales, one English-inspired, the other English-collabbed. 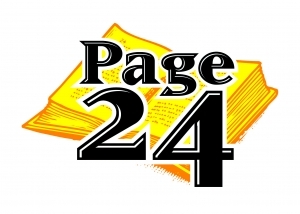 Their Page 24 Imperial Stout is a 9.1% deep and intense dark brew made with six different malts, its coffee and cocoa bean aroma followed by roasty, toasty, and dark chocolate flavors. The hops — all Styrian Golding — bring a fine bitterness that its Brit forebears would no doubt have approved of. This beer is atypically dry and drinkable for its high ABV. The 5.5% Robust Porter was brewed in collaboration with Twickenham Fine Ales to celebrate the 10th anniversary of that brewery. Since Page 24 travelled earlier to Britain to brew a traditional bière de garde, “Twicks” in turn made the journey to Aix-Noulette to add an English authenticity to this London-style beer. Amongst notes of coffee and mocha, characteristics of the English ale yeast are evident. The hoppiness is stronger than in a classic London porter, and the resinous bitterness of First Gold hops is long-lasting on the palate. Page 24 Imperial Stout and Page 24/Twickenham Robust Porter are available in 30L kegs. The British Empire may be a thing of the past, but its indigenous dark ale styles continue to inspire imitators around the world. So when Oklahoma’s Prairie and Italy’s Brewfist decided to draw up a co-recipe, the base beer was a classic imperial stout. Except this wasn’t to be a “proper” stout — more of a pasta ale for gunslingers! Spaghetti Western was a gimmicky hit, a can’t-miss collab. Perhaps then it was inevitable that the concept would be taken even further: We now present the new Spaghetti Western Grappa, a brand-new version aged in you-know-what barrels. 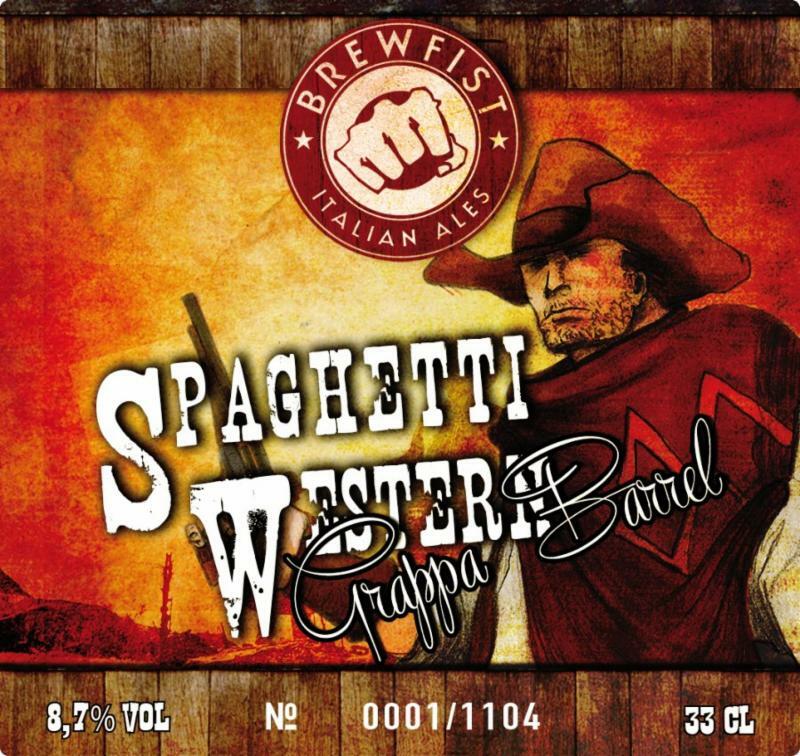 Spaghetti Western Grappa is available in 30L kegs.